Foxtel’s Kayo has signed up 115,000 subscribers in total, News Corp said on Friday. Of those 100,000 are paying subscribers -a good start since November. The other good news is that it has not severely cannibalised Foxtel subscribers. Foxtel had 2.9 million subscribers in the three months ending on December 31. “Of course, there is more churn when you increase prices as we did late last year, but what we are absolutely not seeing is massive spin down to Kayo from premium subscribers,” News Corporation chief executive Robert Thomson said. Foxtel is also tipped to launch more stand-alone streaming products in Drama or Entertainment, with chatter tipping April to benefit from the Game of Thrones return. I know so many people that have cancelled their Foxtel subscription and are just using Kayo now. I think it’s News Corp spin telling us the churn rate is pretty low. The churn figures are in their quarterly earnings documents. They’d be in serious legal trouble if the figure was inaccurate. Subscribed to the Kayo $5 February promotion. – Apple TV stream quality is great. – Fairly wide range of sports (no Premier League Football though, Optus has the rights). – Kayo UI on Apple TV is ordinary, combined with the Apple TV remote. Not a good combination! Takes a bit to work out how to skip back/forward, but I eventually worked it out. Location of some menu items is different between PC and Apple TV, which initially confused me. – For most sports, replays don’t seem to hang around for long…maybe a couple of days. Exceptions though – seems for AFL and NRL all 2018 matches are available to stream. I will probably subscribe for one more month to see how they handle AFL. On Apple TV I found it confusing trying to locate ‘Watch Live’ at times during the recent test matches. It should be the first option. Agree. I’d also like them to show what is playing on each channel as I know say a sport is on Fox Sports or ESPN but not sure whether it is FS4 or 5 or ESPN 1 or 2. There is space on screen to do it easily too. Overall though, I think Foxtel have done a pretty good chop in launching Kayo and building up its subscriber base. My own personal experience has been pretty good with a one month trial and a second month at $10 thanks to an Amex promotion. Will be cancelling at the end of this billing period though as Foxtel have just extended my current deal of Basic + Sports + HD for $39 for another year. Might be Kayo 2020 if Foxtel don’t extend my deal again. Im on same deal as you with 39$ however end of deal 12mth coming up. i call to cancel 30days notice. and they offer me $32 a mth for same deal. It’ll be interesting to see what happens once the AFL season starts. The streaming rights for the AFL are a bit weird,Fox and Teltsta own the rights and 7 isn’t allowed to stream anything. For the games that Channel 7 televises, Fox has to take the channel 7 feed (which has ads) rather than than the Fox Footy feed(that doesn’t have ads). Subscribers who watch AFL through Foxtel Go or Foxtel Now, have 3-4 games per week with ads. Given that Kayo is a streaming service I assume it’ll be the same. 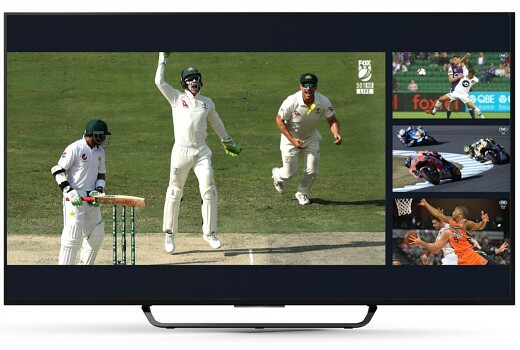 Having trialed Kayo it is a satisfactory way to watch sports in HD and is not that much different to having a set top box ( providing you don’t have issues with your internet service) unless you are convinced by 4K as the superior viewing option. I agree that Kayo really need its logo pre-loaded in future Australian Smart TV apps though it’s likely commercial considerations will make it difficult. I’ve been a big fan of it during the BBL. As mentioned, the interesting bit will be when the winter codes fire up. Yeah I think once the AFL and NRL start they will see it rise quickly, I’m certain there will be people sign on for those seasons, to which I may end up being one if Seven’s AFL broadcast starts annoying me. Wall to wall sports for some seems to hit the spot,not sure you are able to chromecast Kayo to a large TV? My husband was watching on chromecast. Worked ok but buffered a fair bit (although it was an old cheaper chromecast device.) He’s since switched to Telstra tv and no glitches at all.